The conference setting promotes extensive contact among speakers and participants with question periods, panels, and many opportunities for informal interaction. In the spectacular Crown Room, participants can enjoy breakfast and refreshments and interaction with numerous exhibitors. A mobile app will be utilized to access the material being presented, and electronic polling through the mobile app will be used to promote interaction with the speakers. 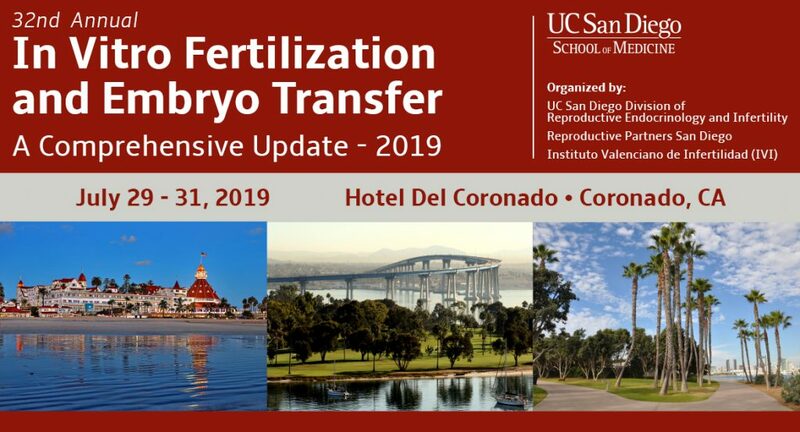 Particular attention will be devoted this year to the rapidly developing trend toward deferred embryo transfer, stimulation strategies for the poor responder and the role of mild ovarian stimulation, optimization of embryo culture, the roles of embryo energy supplies and Co-Q10 in improving mitochondrial function in aging women, difficult cases with ICSI, the critical importance of single embryo transfer in maximizing perinatal outcomes, genetic evaluation of the infertile couple and early pregnancy, management of mosaic embryos, maternal immunogenetics, and practical aspects of transfer technique. A laboratory mini-symposium directed by Dr. William Schoolcraft will cover cryostorage safety, optimizing embryo biopsy, improving embryo metabolism in vitro, mechanisms of embryo self-correction, and the developing field of non-invasive embryo assessment. Dr. Antonio Pellicer, Professor of Obstetrics and Gynecology, University of Valencia, Spain, Founder, Insituto Valenciano de Infertilidad (IVI), and co-editor of Fertility and Sterility, will describe developing techniques to awaken oocytes in women with ovarian failure. Dr. Amander Clark, Professor and Chair of the Department of Molecular, Cell and Developmental biology at the University of California Los Angeles, will update us on the fascinating science of producing gametes from stem cells. Dr. Dominique de Ziegler, Professor of Gynecology, University of Paris, will discuss how endometrial inflammation, infection and aberrations of the endometrial microbiome can prevent implantation. The target audience for this initiative includes physicians, fellows, physician assistants, nurse practitioners, embryologists and other allied health professionals in the field of IVF. Describe standard, successful methods of each aspect of the clinical practice of assisted reproductive technology and in particular the very significant advantages of deferred embryo transfer, made possible through vitrification; alternatives to full stimulation; prevention of OHSS; the role of health and lifestyle issues in the male and female; time-lapse monitoring of embryos; aging of the oocyte; management of mosaicism with comprehensive chromosome screening; optimal hormone replacement for embryo transfer; and critical aspects of embryo transfer technique. Discuss aspects of embryo culture and embryo manipulation and management to achieve optimal results with IVF. Identify options for fertility preservation for the woman with cancer, and immunologic aspects of implantation.